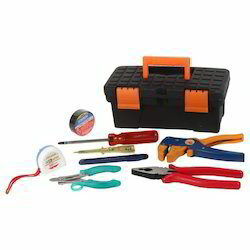 Offering you a complete choice of products which include plastic tool box and plastic moulded tool box. B) PVC Insulation Tape: 1 No. C) Measuring Tape 3 Meter: 1 No. D) 4 inch Heavy Duty 2 In 1 Reversible Screwdriver: 1 No. E) Stainless Steel Wire Stripper 150B-Ss: 1 No. F) Line Tester Upto 500 V AC: 1 No. G) Automatic Wire Stripper Cutter 02Dx: 1 No. H) 8" Chrome Vanadium Combination Plier Mt-555: 1 No. I) Knife Small: 1 Nos. 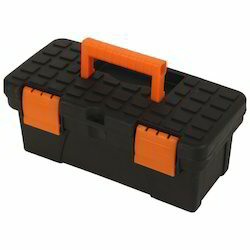 Looking for Plastic Tool Box ?